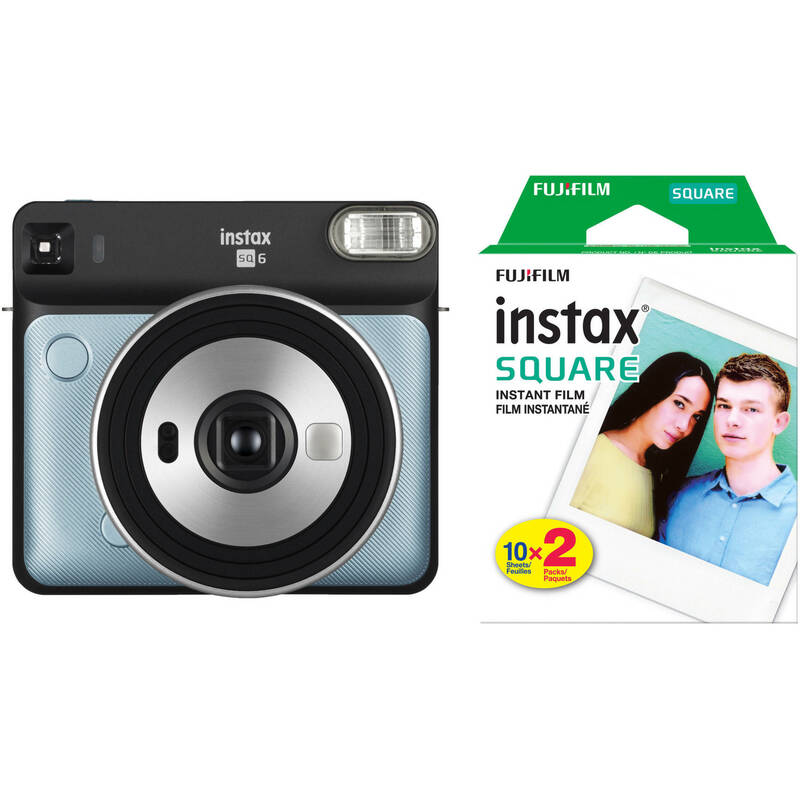 Comprising the essentials for instant film photography, the aqua blue FUJIFILM INSTAX SQUARE SQ6 Instant Film Camera with Twin Pack of Film Kit from B&H pairs the square-format camera body with two packs of INSTAX SQUARE instant film. This pack of Fujifilm instax SQUARE Instant Film contains 20 sheets of instant color film that is compatible for use with instax SQUARE cameras. This film features vivid color reproduction with natural skin tones, and its refined grain structure provides high image sharpness and clarity. Each 3.4 x 2.8" sheet of film produces a square 2.4 x 2.4" glossy image area that is surrounded by a simple white border. Box Dimensions (LxWxH) 3.95 x 3.25 x 1.75"